Ever since he was a baby, my son has been a picky eater. The only way I could get him to eat any type of meatloaf is if I formed the meatloaf into meatballs or stuffed it into vegetables. And it all had to be covered in some kind of sauce or gravy. Yet, he would eat most vegetables, but not any kind of meatloaf! Don’t get me started! Thus, this recipe was born. 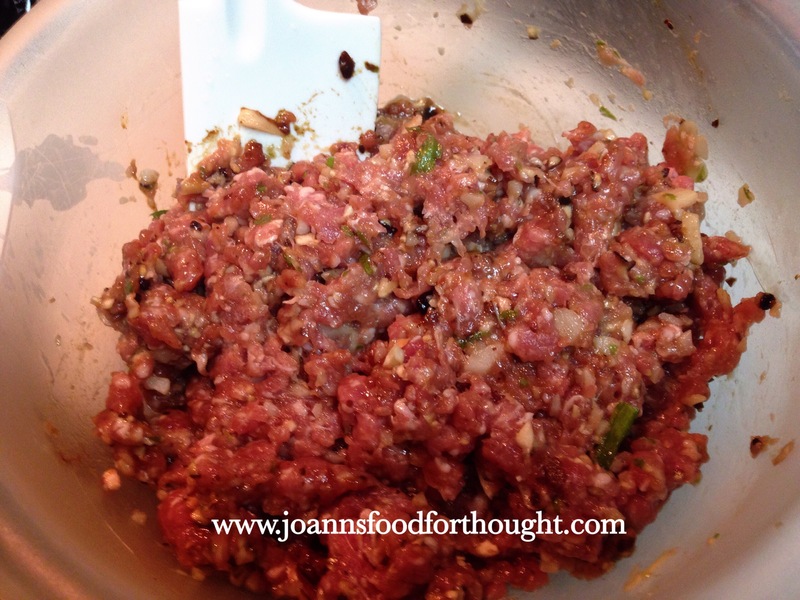 In a large bowl, place ground pork, green onions, mushrooms, water chestnuts, egg, 2 teaspoons cornstarch, ginger, garlic, 1/2 tablespoon of sugar, sesame oil, soy sauce, cooking wine, and 1/2 tablespoon black bean sauce. Mix well. Set aside. Preheat your oven to 350 degrees. Cut bell peppers in half and discard seeds and white membrane. In a large pot of boiling water, blanch bell peppers for 5 minutes. 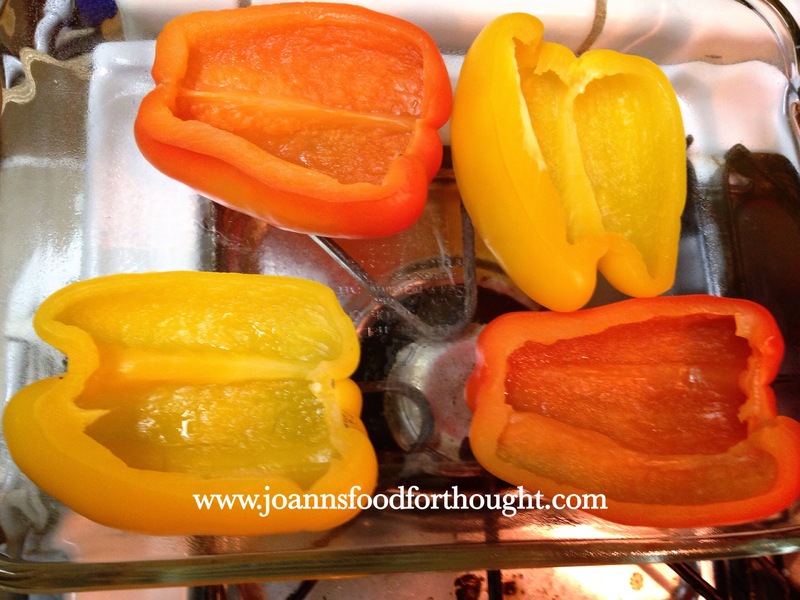 Remove bell pepper halves from boiling water and place in casserole dish. 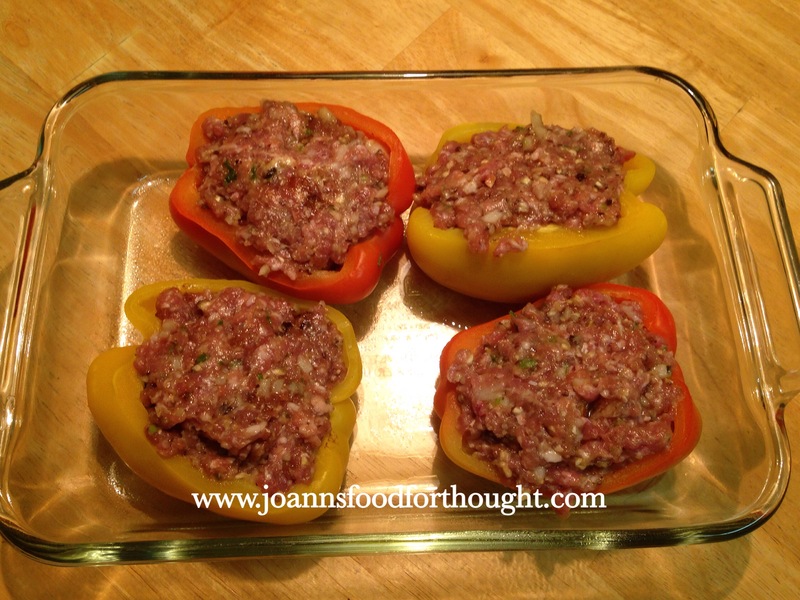 Stuff bell pepper halves with meat mixture. Be sure to pat down, so peppers are well stuffed. Add chicken stock to a small pot. Turn heat to medium high. While waiting for chicken stock to boil, make a slurry in a small cup or bowl with 3 teaspoons cornstarch and 1/2 cup cold water, mix well. 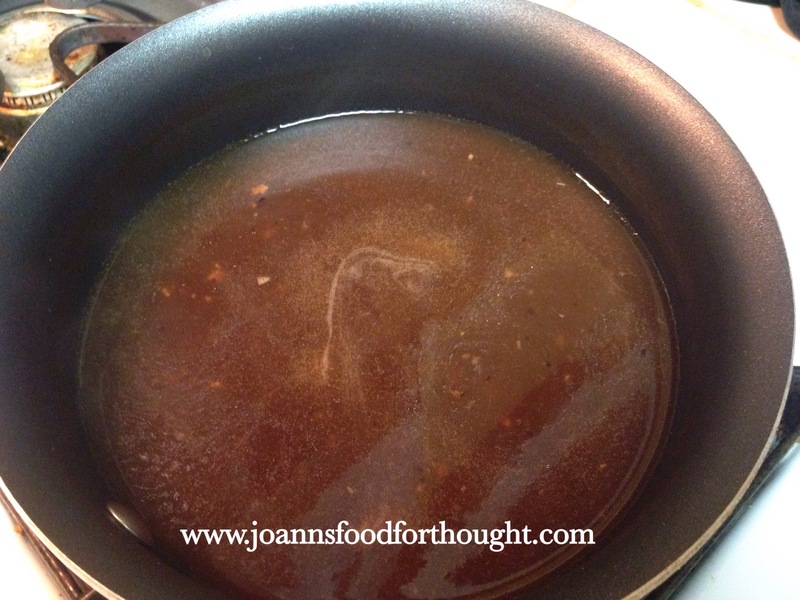 When stock comes to a boil, add 3 tablespoons black bean garlic sauce and 1/2 tablespoon sugar and stir. Then add slurry of cornstarch and water. Stir until gravy has thickened to consistency of syrup. Turn off heat. 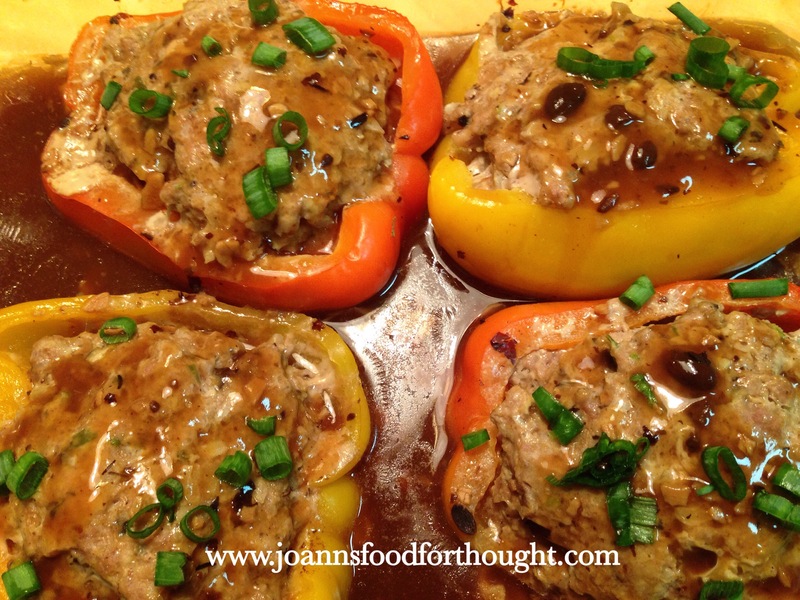 Pour gravy (saving 1/4 cup for garnish) over stuffed bell peppers and into casserole dish. Cover casserole dish with foil and bake in oven for 45 minutes. Carefully remove foil when done. 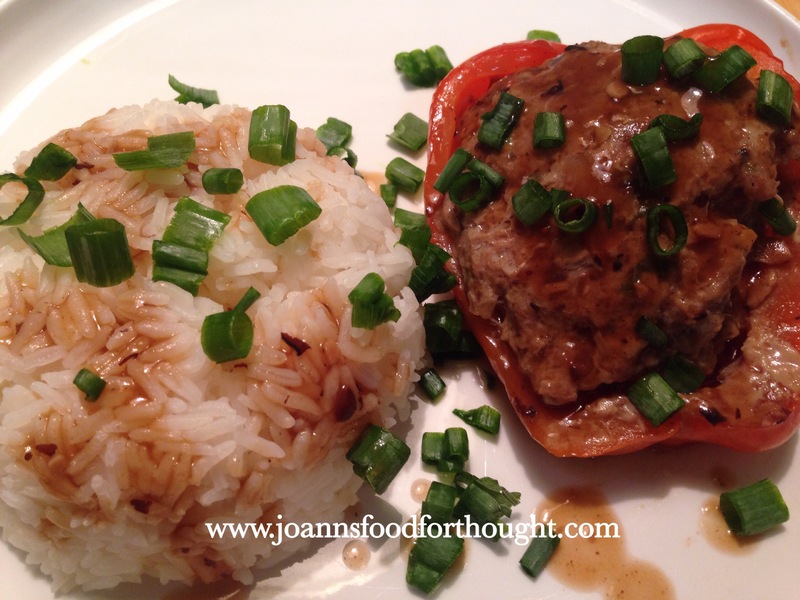 Garnish tops of bell peppers with green onions and reserved gravy. 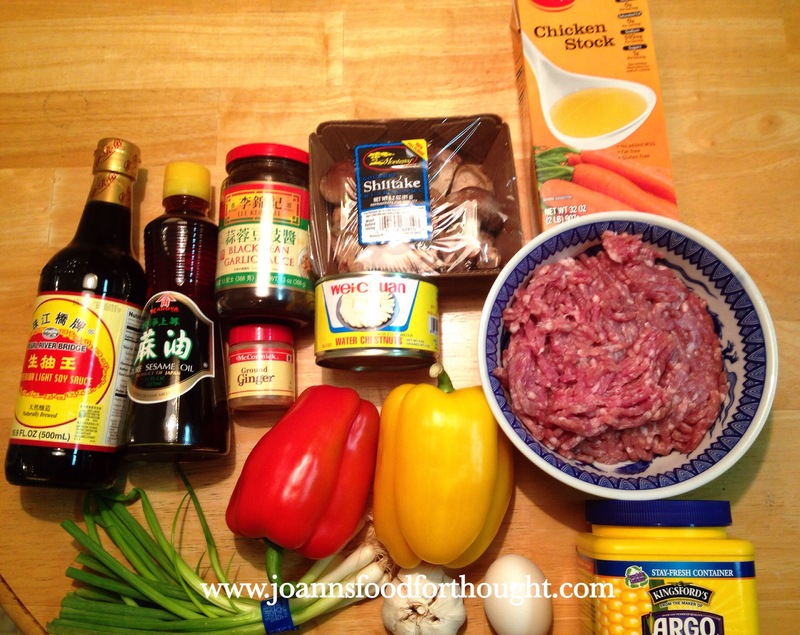 Serve with rice to complete your meal. These look so tasty. Thank you for taking the time to stop by my blog. Have a blessed week.